Whether you are buying or selling a residential home or commercial property, it is imperative that you protect your rights, interests and investments. 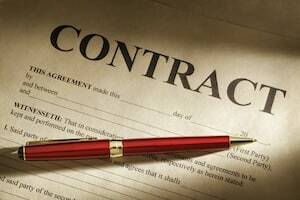 Hiring an experienced lawyer before you sign a contract can help make sure your rights are protected. KALIS, KLEIMAN & WOLFE’s real estate attorneys represent individuals, buyers, sellers, real estate agents, developers, landlords, tenants, homeowner associations, businesses and lending institutions. We assist commercial and residential clients in a wide variety of transactions. We will help you review all aspects of your real estate contract to make sure you are getting a just deal and your rights are protected. A complicated real estate contract or real estate situation requires a law firm that will articulate the legal complexities in plain language so that the client fully understands their options and are empowered to make well-informed choices. Commercial and Real Estate Law attorneys Neal Kalis and M. Scott Kleiman pride themselves on not just being lawyers, but being lawyers and counselors. The firm’s personal attention to its clients’ needs and desired results produces a customized approach that this firm delivers to each case. KALIS, KLEIMAN & WOLFE has earned a reputation of legal excellence and a history of successfully managing Real Estate Transactions and Real Estate Development cases.